New words enter the English language perhaps more frequently than they do any language in the world. That’s why English has the most words of any language in the world. Oxford Dictionaries, the online version of the Oxford English Dictionary, recently added a slew of new words to the English language, and I thought my readers would like to know some of these words. 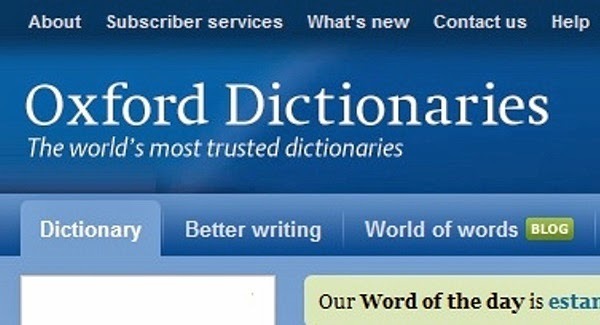 Note, though, that Oxford Dictionaries (www.oxforddictionaries.com) is different from the Oxford English Dictionary (www.oed.com), although they belong to the same family. Words in Oxford Dictionaries may not appear in the Oxford English Dictionary, which is more linguistically conservative and intellectually snobbish than Oxford Dictionaries. In what follows, I list some of the words I find noteworthy. 1. Adorbs: It’s an adjective used informally to mean “Inspiring great delight; cute or adorable.” Examples the dictionary gives are: “all the pets are totally adorbs”; “check out the adorbs photo”; “newborn babies are so adorb.” The dictionary etymologizes the word as an early 21st century modification of “adorable.” I have never come across this word before, and I’m unlikely to ever use it. Many people outside the West may not be able to relate to this expression for many obvious reasons. For one, canceling cable subscription isn’t an option for most people in the developing world because broadband Internet connection is still a luxury. Second, landline telephone connection never quite took off in many developing countries to start with, so canceling it isn’t part of people’s experiential repertoire there. 3. Cray or Cray Cray. The dictionary defines this word as the short form of “crazy” and says it’s chiefly American. Usage examples include: “I have a feeling this is gonna get cray”; “She’s cray cray.” I’ve actually first heard this word from my 10-year-old daughter. I didn’t think it would get lexicographical imprimatur. Perhaps the best example of a doxing in Nigerian cyberspace was the unmasking of presidential aide Reno Omokri by Nigerian cyber sleuthhounds. 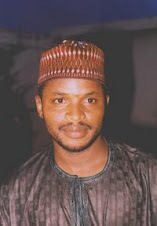 Omokri sent out a libelous news release against former Central Bank of Nigeria Governor Sanusis Lamido Sanusi (who is now the emir of Kano) with the false name Wendell Simlin, but wasn’t careful enough to cover his cyber tracks, so he was doxed. The word is probably derived from henchman, the dictionary says. Henchman basically means a collaborator, a partner in crime, or a bodyguard. Maybe it’s the notion of muscularity that defines bodyguards that informed the formation of the word. A controversial TV series on BET (i.e. Black Entertainment Television) titled “A Hot Ghetto Mess” is perhaps the most popular usage of the expression. The show has been renamed “We Got to Do Better” because of the outrage the name sparked in the black American community. This column is also an example of a listicle. Can we also have “womansplain,” Oxford Dictionaries? Thank you! 12. Second screen. It means “A mobile device used while watching television, especially to access supplementary content or applications,” as in: “viewers use social media on second screens when watching TV.” It can also be used as a modifier (as in: “an interactive second-screen experience”) and as a verb (as in: “many people are now second-screening to look at information about the show”). 14. Side-eye. It means “a sidelong glance expressing disapproval or contempt.” Examples: “After we complained of being ignored she kept giving me the side-eye”; “She casts a side-eye and nods dubiously.” I really like this word. Vape is also used as noun to mean an electronic cigarette. It’s a short form of “vapor” or “vaporize,” according to the dictionary.